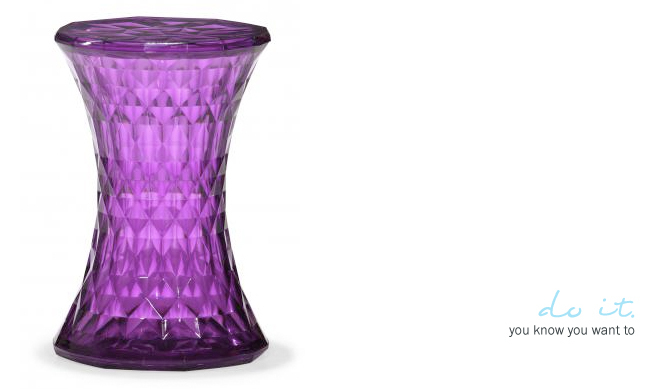 you know this amethyst stool would look amazebeans in a dressing room / closet. go ahead. buy it. this image is actually from a retailer, selling the couch. the couch is wonderful, don't get me wrong. 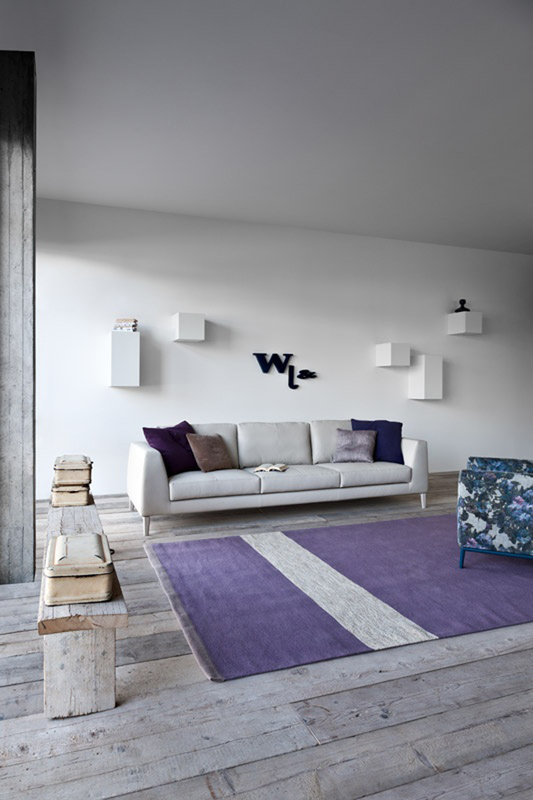 but what i'm loving mostly is the muted purple rug with the wide white stripe. it looks perfect on these gray-washed planks. go for a graphic print in shades of white, gray, and purple. whether it's a rug, a pillow, a dress, a background for a photobooth, the purple adds a sense of confidence while the white and gray make it modern and fresh. maybe it's just the girl in me but i love. Love. LOVE. purple paired with pink. 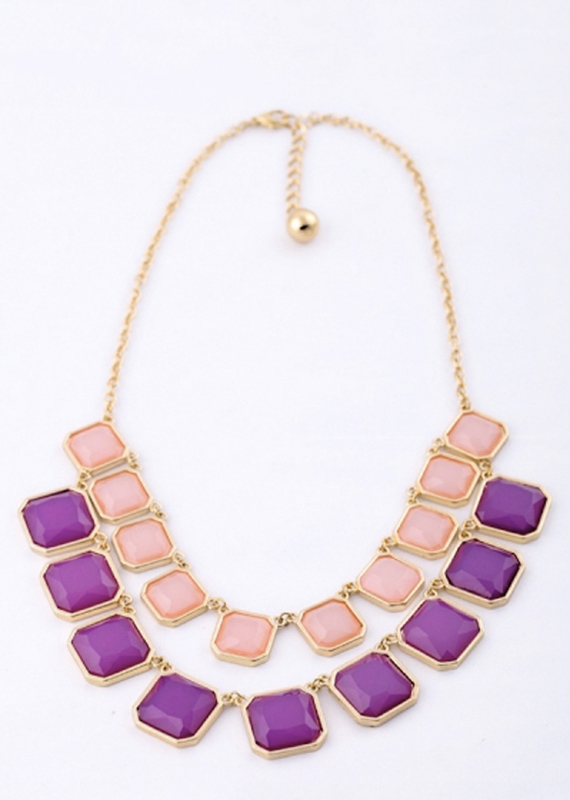 wanting this necklace now to wear with a casual tshirt and shorts or a white sundress. i must have a thing for purple rugs this week, but i couldn't not share this easy room. 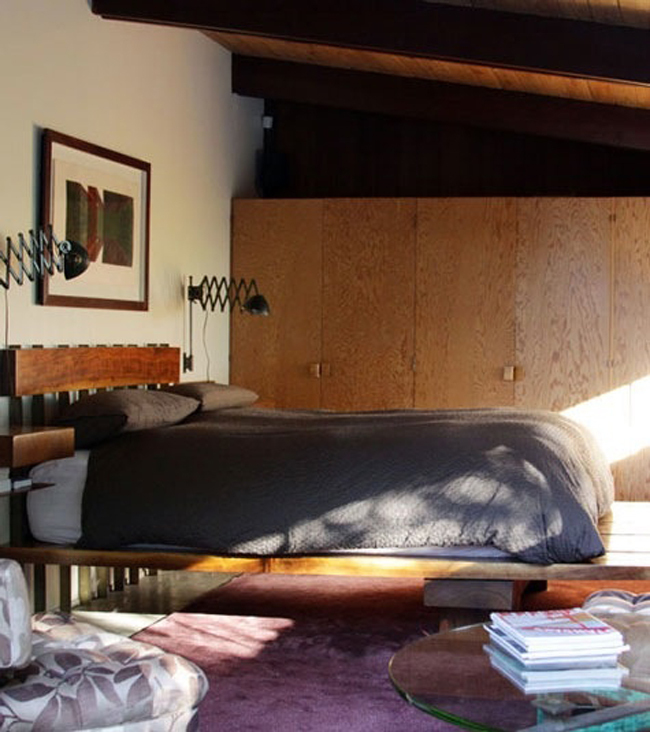 woodgrains, bits of gray and a soothing shade of purple on the floor, this room is perfect as a guest bedroom. orange and purple are complimentary colors, so they look great used together. i love how this bride used purple lanterns and orange and white flowers for her tablescape. 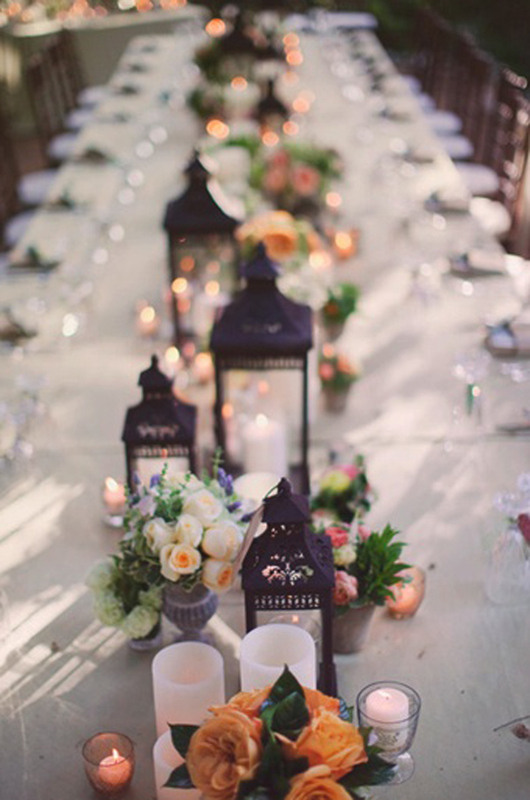 on top of the creamy linen, it makes a gorgeous garden themed dinner. 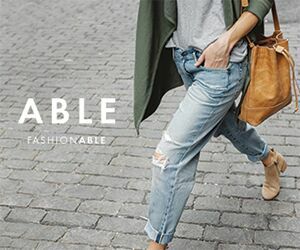 running errands, attending a morning soccer or baseball game, hosting lunch on your patio... this look is perfect. 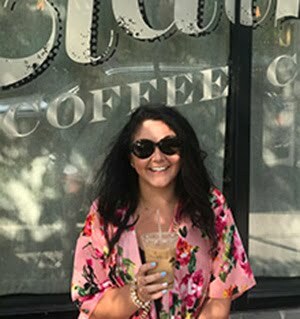 the maxi dress keeps you looking put together while staying comfy. some gold shoes and earrings and a white crossbody bag and your look is done!